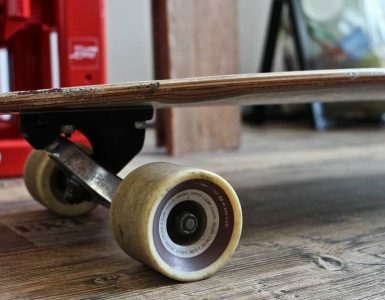 If you’re new to surf skating and looking to pick your first surf skate, you’ve probably heard of the Slide skateboards. While Slide is not as publicized as other surf skate brands, it’s been carving (pardon the pun) a nice spot for itself in the land surfing world. Suprisingly, to date there is precious little information available on the Slide skateboards. In this post, I will share what I’ve learned through my own and other riders’ experience riding these boards. If you’re new to surf skate and would like to learn more about what it is and how to get started, first check out my in-depth post here. Who makes the Slide surfskates? Sancheski, Europe’s oldest (and legendary) skateboard manufacturer in Irun, Northern Spain, which produces and markets the Slide brand in Europe. Sancheski is a respected company that has been involved in the surf, ski and skateboarding industry in Europe for decades and has lots of experience making quality products, both vintage and leading-edge. 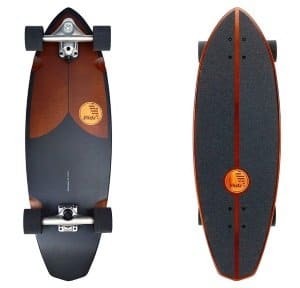 While the Slide surf truck was first designed in Taiwan, the current Slide skateboards are designed by Sancheski with a strong focus on both quality and price. Over the last couple of years, the Slide surf truck has also undergone major improvements and has been made very strong and durable. The “Newave” truck now equips all new Slide completes. It’s worth noting there are a lot of copies of the Slide truck out there, often mounted on cheaper decks (like it’s the case for Carver and Yow trucks for example). A close look at copycats, however, typically reveals visible differences in the molding. The copies I’ve seen so far are based on the older truck version. What are the Slide surfskates good for? A key consequence of this stability and low height is that the Slide is highly pushable, something rarely found in surf skates. The adjustable nut on the front truck furthermore lets you easily increase the resistance in the spring whenever you’re ready for some serious pushing. Also, the limited turning angle and relative tightness of the front truck – and the tall risers that come stock with the truck – makes the Slide virtually wheelbite-free. The surf truck system with its tight and constrained torsion spring also make the Slide a capable pumping board due to having just the right amount of turn in the front truck and a stable “normal” truck in the rear. Beginner surf skaters e.g. surfers who are seeking effective cross-training but don’t have skateboarding experience – stability is essential here. Short distance commuters (1-2 miles) in tight city areas. You can push and pump comfortably through town on a Slide without killing yourself. Slide boards provide a low ride, responsive pumping, and easy pushing. Carving lovers looking for the next step beyond a regular carving longboard (e.g. the Loaded Poke). The Slide truck allows for tight turns without being overly loose. More experienced Surf skaters who want to do street, pool, and skatepark style riding. Slide surf skates are stable and low riding enough for these styles. As mentioned, the Slide skateboards are well suited for pool riding as they are not excessively turny. The trucks are also low enough for riding pool and park. You can remove some of the stacked risers and run smaller wheels to make the board even lower to the ground, which works better for pool and vert tricks. The Slide surf truck is also grindable for street tricks since it has no kingpin. If you’ve read this far, you may be considering getting a Slide surfskate. If so, you probably want to know how Slide skateboards compare to other surfskates, such as Carver, Yow, Swelltech, or Smoothstar. 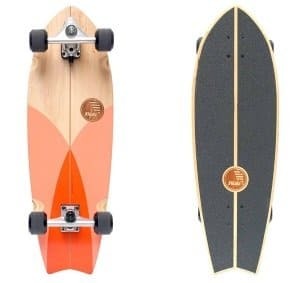 As always when it comes to skateboards/longboards, which board will best suit you depends on your riding style and goals, and of course, your budget. The first thing to note is that the Slide truck is noticeably more stable, lower riding, but less turny than a Yow, Swelltech and Smoothstar, all of which have very loose trucks – the Swelltech truck actually spins a full 180º. Landlocked surfers looking for surf cross-training will typically choose a Yow, Swelltech or Smoothstar as they provide the closest feeling to a riding on a surfboard in waves. On the flip side, Swelltech, Yow and Smoothstar surfskates are generally too twitchy and unstable for city commuting. Again, these trucks are very loose and turny, making pushing and commuting even over shorter distances challenging and tedious over time. Key takeaway: due to the way the Slide surf truck is designed, the Slide skateboards are lower riding, more stable, but less turny than other surfskates. Carver surfskates stand somewhere in the middle, being not as loose as the above “surfier” truck systems, but looser than the Slide. Carver boards are easier to push and commute on than the pure surf counterparts, particularly when set up on a longer deck (e.g. Triton or Hedron). Many surfskate riders not looking for a hardcode surf simulation will choose a Carver CX.4 front truck for a good “all-around” surfskate feel. It allows them to practice surf carving and pumping (including uphill) while not being excessively loose so as to get in the way of some cruising and commuting. So how does a Slide board compare to a Carver? A lot of it is a matter of personal taste. The Slide truck is tighter and stiffer than the CX or C7. Some riders like a looser truck for more of a surfy feel, while others prefer the stability of a Slide while still getting that carving experience. Another key distinguishing factor is ride height. Slide skateboards ride noticeably lower than Carver boards, making them more comfortable for pushing and commuting beyond very short distances. The Slide surfskates are also much more capable than the Carver skateboards for doing street tricks, pool and skatepark riding – again due to their much lower center of gravity and better stability. Also, the price of a pair of Carver trucks will almost get you a complete Slide surfskate. A Carver complete may cost as much as 2 Slide surf skates, and a Yow is more than 50% pricier. All in all, which surfskate you choose depends on how you want to ride. If you’re a beginner, a Slide skateboard is a great choice due to its stability and constrained range of motion in the front truck. However, whether the Slide truck will later meet your needs depends on what you’re looking for, that is, where you want to be on that skate-vs-surf style range. For many riders, the Slide range of motion is just perfect as they value the ability to comfortably shred in a pool or on a vert, do street tricks on a surfskate, and push/pump on longer commutes. For others, the Carver CX or C7 gives them more “radical” tight turns and freedom while still being able to do some commuting – albeit at the cost of more effort than on a Slide. Slide fans, however, reply that with the right skills, you can go as radical as you want on a Slide, and enjoy the nice carving and pumping ability. Check out this cool video on Facebook which shows a Slide, a Smoothstar, and a Carver on a ramp. The Slide surf truck is a very strong and durable truck built around Slide’s patented torsion surf-carve system. The truck has 2 bolts, a horizontal one for stiffening or loosening the spring, and a vertical one that works like a traditional kingpin, e.g. for disassembling the truck. 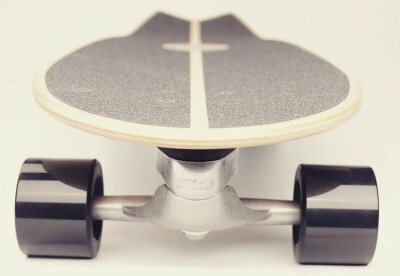 The front surf truck doesn’t use a bushing, which some argue results in a slightly less flowy feel compared to other surfskate systems. 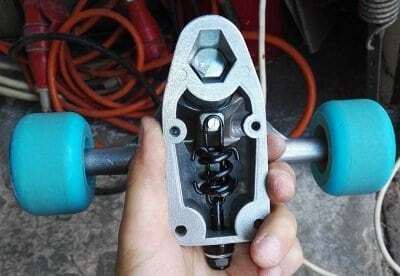 On the other hand, the absence of bushing in the front, along with the tall spacers that come by default with the truck, help keep the Slide skateboards wheelbite-free despite their low height. 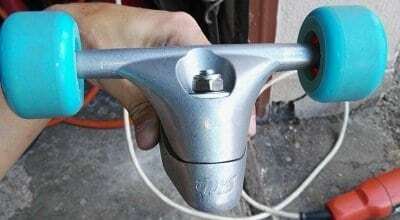 An important aspect of a surfskate, however, is the back truck bushing. Slide has done a great job with that in its latest version of the truck. The Slide truck’s swing arm doesn’t rotate as wide as other surfskate trucks, around 35º to the right and to the left. 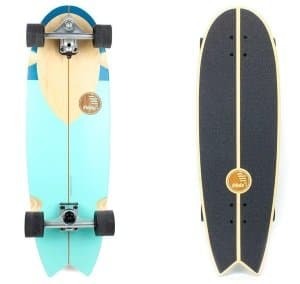 As I mentioned before, while surfers may see it as limiting for doing very radical turns, the truck works really well for carving and pumping as well as street and skatepark riding. In Europe, besides complete skateboards, the Slide surf truck can be purchased standalone, starting at around 60€ (for example here). 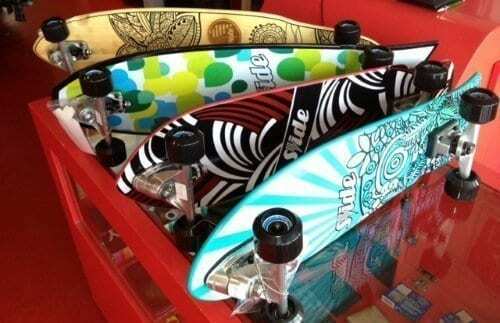 Slide offers a broad range of complete surfskates. Some are designed in Australia (by Hot Buttered), others in Spain (Sancheski), while a few are developed collaboratively by the two entities. For some shape styles, the skateboards come in a choice of beautiful designs and colors, with a couple of deck sizes between 30″ and 33″. The Slides all come equipped with the Newave surf truck. The complete surfskates come with quality 65mm or 75mm wheels with a soft 78A durometer – giving you good carving traction and comfortable commuting. The smaller wheels are best suited for street and park, while the 70mm work best for longer, faster commutes. Some riders mount the Slide truck onto normal street decks for good skatepark performance. There’s really something about the Slide surf truck and surf skates. They’re super low, super nice to pump, super affordable. The Slide rides differently than the pure surf alternatives. More stable, lower, easier. You can actually push and commute on it. And if you’re new to surfskating, it’s a perfect board to start with. Yet, as you get better, the Slide will let you carve some pretty cool turns while pumping and pushing your way through town. If you’re a street,and park kind of rider, a Slide is probably the best surfskate for you out there. Classic surf-style carving and pool/park riding, that’s exactly what the Slide surfskate is designed for. At almost half the price of a Carver, and with solid quality and durability, the Slide skateboard offers a compelling surfskate alternative. Slide’s fan base has been growing continuously, and for a reason. 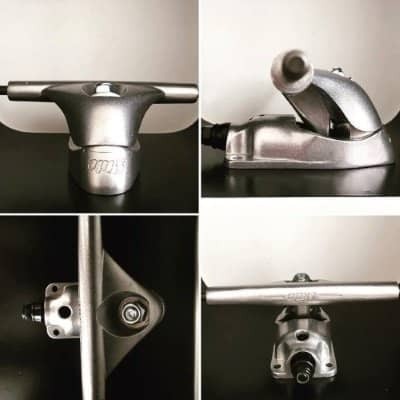 Choosing The Right Surfskate Truck: What Surfskaters Are Saying!